I STILL haven’t tried cookie butter. WHAT IS WRONG WITH ME?!!! I hear it’s worth dying for. 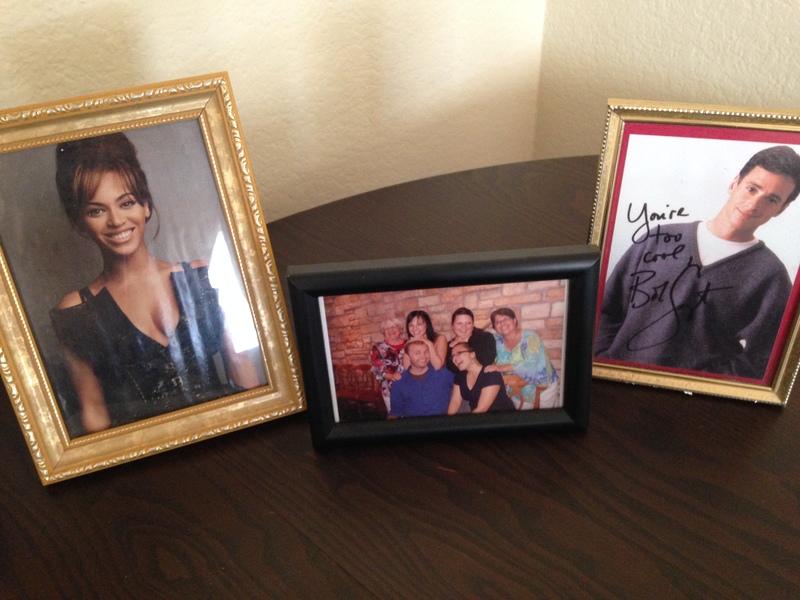 Also, strange… I have a friend who also has an autographed photo of Bob Saget. I should have known Bob was a autograph polygamist, although I naively hoped I was his one and only. That is a bizarre coincidence, though. 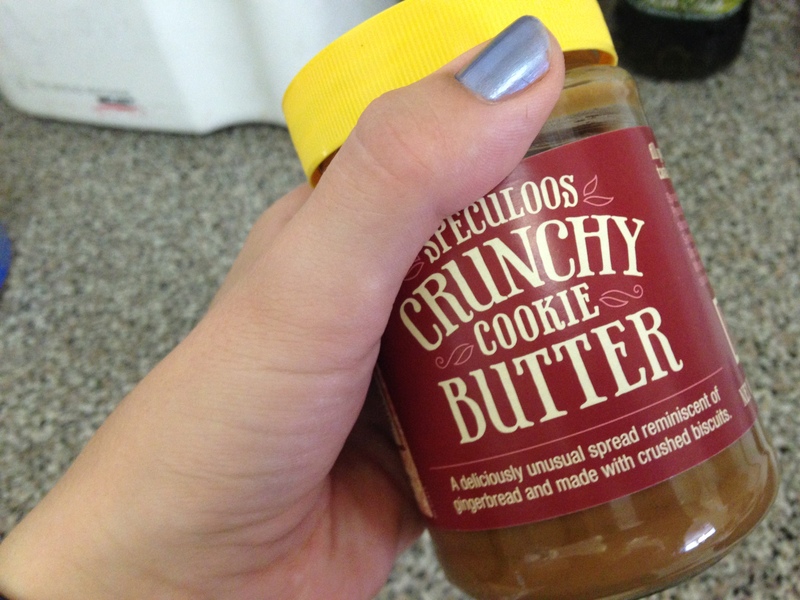 In other news – cookie butter. GET ON IT! It’s definitely a staple around here. A delicious, um-did-I-seriously-just-eat-that-much staple. 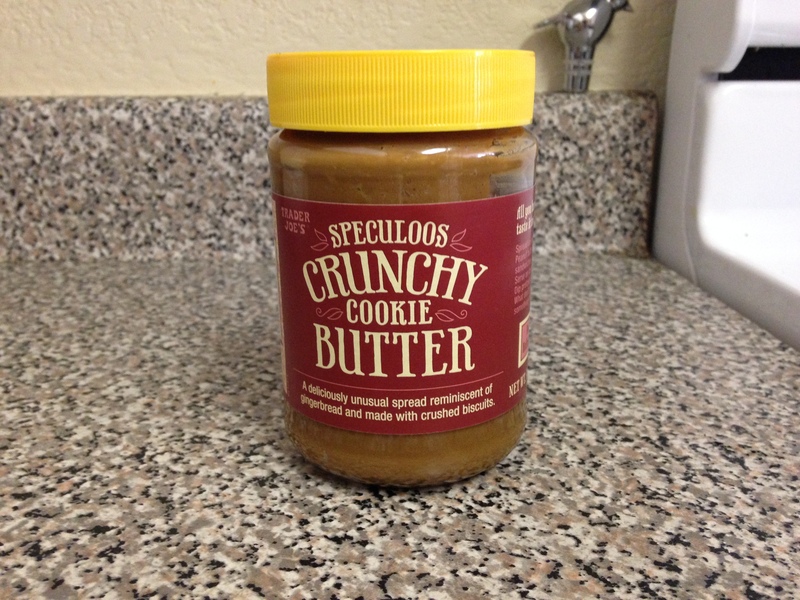 I bet that does taste superb, but a jar of cookie butter in my sanctum sanctorum is risky business. I’ve unloaded fifteen pounds of flab this year and want to keep that unloaded … So, I guess I’ll just get a jar and bring it to The Grind. 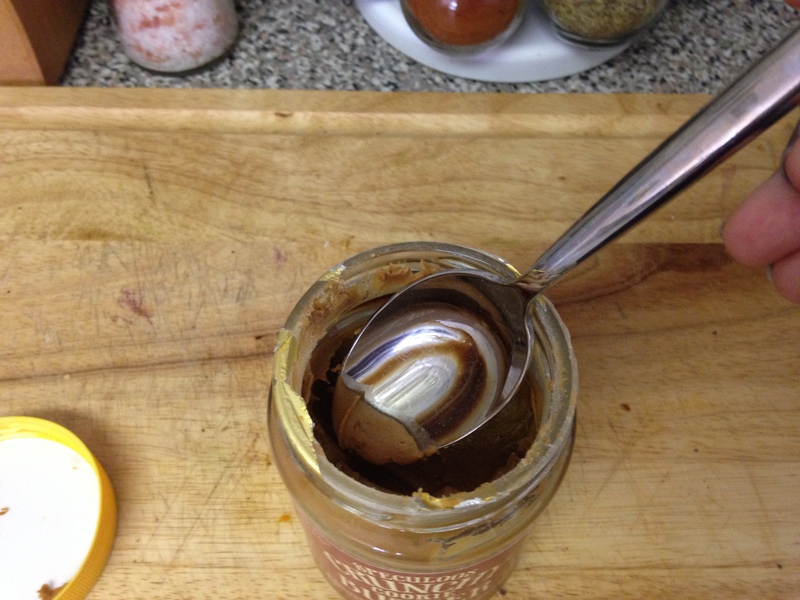 That way I can get my spoonful, and Godsend, my 26-year-old colleague, will polish off the rest of the jar. It will also serve as a morale booster. Note: Godsend is fit and trim. I will not be fattening her up. Oh, man – 15 lbs down is awesome! Congrats on all that unloading. 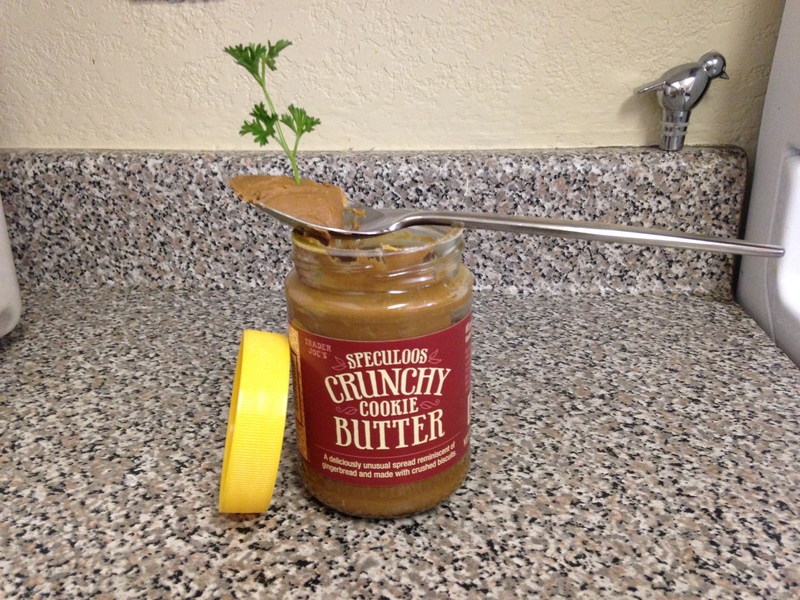 Maybe you could bring a spoonful to The Grind and have it dangle like a carrot throughout your workout? That would work wonders for me. 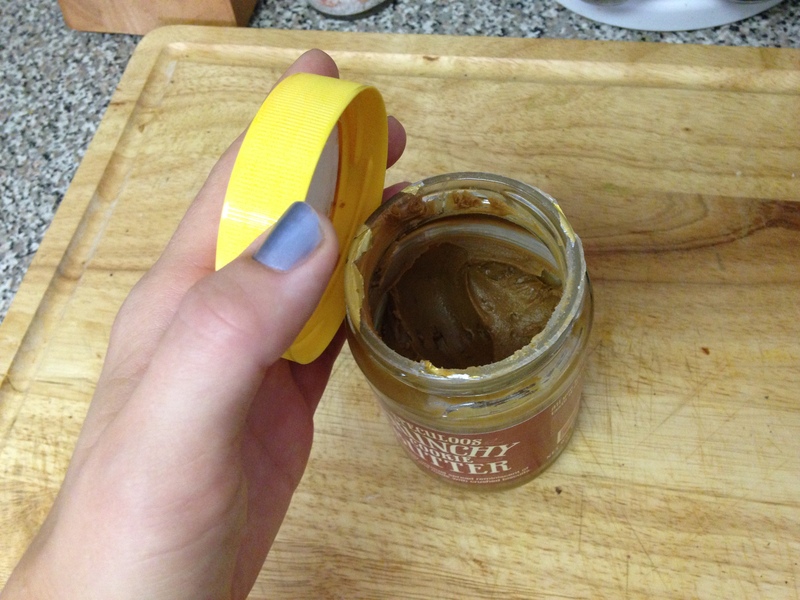 Although, my current bicep curl technique is bringing the gigantic spoon of cookie butter from the jar to my face, so…maybe don’t take fitness advice from me. Godsend can have my jar too. What’s left of it, that is.